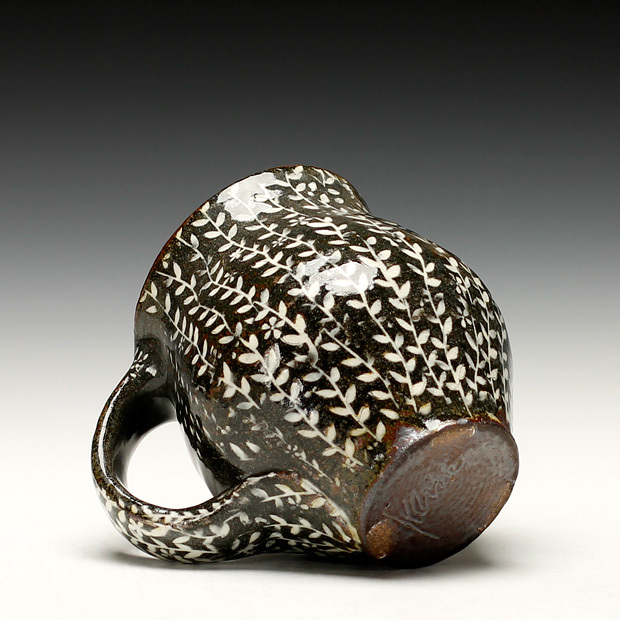 High fired thrown iron-rich stoneware; stamped and inlaid with porcelain. Michael has been a studio potter since 1993. He studied pottery, painting, and printmaking at the University of Tennessee and holds a BFA. He also studied under Michael Simon at the Penland School of Crafts in 1989. After teaching pottery the Westside YMCA in New York City he joined Mark Shapiro in Worthington, MA and built a studio and kiln at Stonepool Pottery. In 1993 Michael began his business and created wood fired-salt glazed tableware with a botanical theme in Massachusetts until 1998 when he was awarded a Resident Artist position at the Penland School of Crafts. While at Penland Michael worked on a body of larger scale stoneware pottery inspired by the traditional stoneware of the Catawba Valley and Seagrove areas of North Carolina. At the end of his tenure as Resident Artist Michael designed a kiln to fire his new body of stoneware. The kiln is designed to fire exclusively with remainder/ waste wood from local lumber mills. The kiln also is large enough to fire his large-scale pottery as well his tableware. The kiln is fired six times a year. 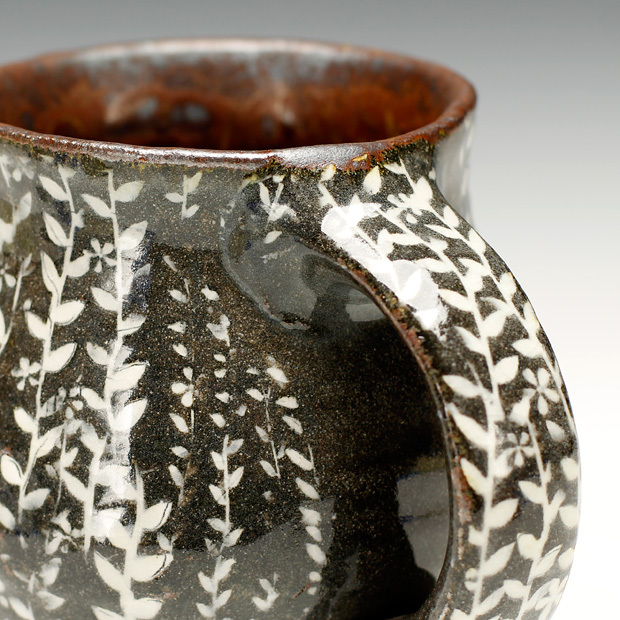 The local stoneware he uses features botanical themes as well as traditional glass “runs” and alkaline ash glaze. Michael has written articles for the Studio Potter magazine and writes regularly on his blog, “Sawdust & Dirt”. 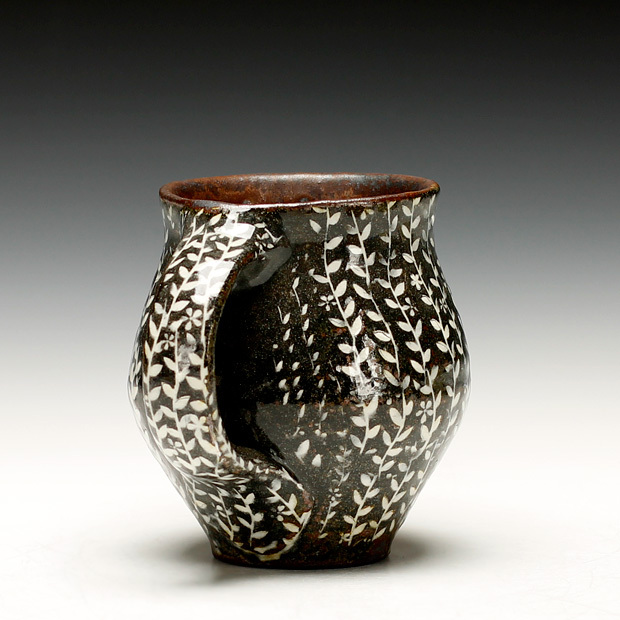 His work has been published in numerous pottery books, including Robin Hopper’s “Functional Pottery.” He has led many workshops and given presentations of his work at universities and clay centers across the country, including the Penland School. Michael appeared (ever so briefly) in the 2007 film “Craft in America” which broadcast on PBS. 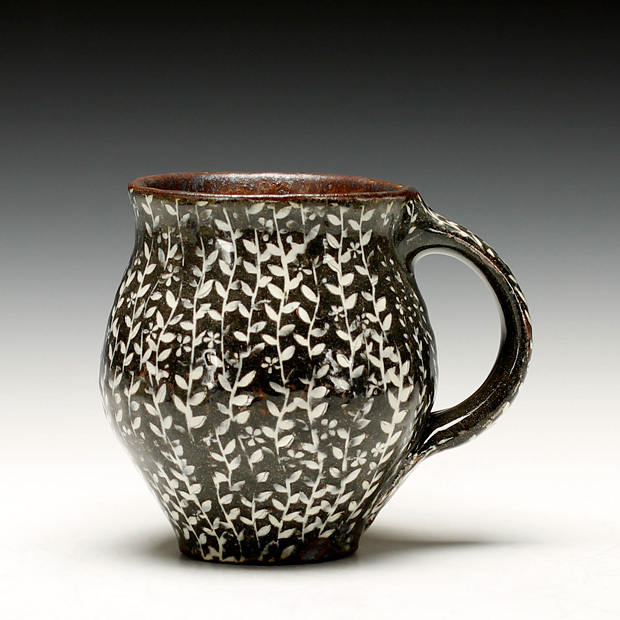 Michael lives in Bakersville, North Carolina where he is a member of the Penland Potters guild. He is married to goldsmith Stacey Lane and they have two daughters, Evelyn and Lillian.